Sanitary ceramics is positioned in the initial stage of domestic development with the matching products of architectural ceramics, but sanitary ceramics, whether it is technical threshold or brand property requirements are much higher than that of architectural ceramics, so the idea of â€‹â€‹using bricks as a sanitary ware is a misunderstanding. At present, many sanitary ware brands that have been developed from wall and floor tiles plants have gradually come out of this misunderstanding, from product making to branding and service, from the original supporting subordinate position to independent operation, from production, research and development, sales, network, channels, after sales, etc. The establishment of a professional team, the implementation of a special person to do special work to achieve the independent overall operation of the bathroom brand. In the past, many sanitary ware brands were bundled with the sales of bricks and shared their sales channels and networks. Currently, these models can be seen in some secondary markets. However, in recent years, sanitary ware brands have become more and more specialized in professional operations. The market has basically completely transitioned to independent sanitary brand sales channels. Specific performance in the popularity of bathroom stores. The brand concept store has become a new model for sanitary ware marketing. For the sanitary ware industry, brand concept stores or sanitary ware stores are only pioneering projects in recent years. Multi-brand agency is a traditional terminal business model. With the intensification of market competition, the multi-brand agency system has become increasingly unsuited to the development of the market, and the brand concept store has become a marketing model that the sanitary brand manufacturers have strongly promoted in the past two years. 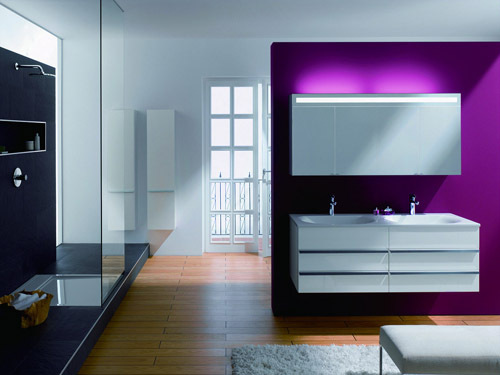 Manufacturers to intervene in the sales terminal is a major landscape of bathroom marketing in recent years. In the second half of 2004, with the successive opening of Dongpeng Sanitary and Eagle Sanitary Halls of Life or flagship stores in various primary markets, the wave that created such sanitary ware brand stores entered a climax. The appearance of the brand concept store has provided a bathroom brand with a platform for displaying its brand image and brand culture, better displaying the complete bathroom products, and advocating a concept of an overall bathroom. In fact, it is not just businesses that benefit, consumers also benefit from the marketing model of the concept store. The professional guidance of the sales staff and the more complete after-sales service of the brand is the biggest difference between the brand concept store and the multi-brand store, and it is also the â€œbright spotâ€ that gives the average consumer the heart. 1. Increase investment in advertising for end-users From the point of participation, there are more companies involved and more times. In terms of the direction of advertising, more and more attention is paid to the advertisement of end-consumers, from the industry. Magazines, newspapers, and various home fashion magazines, from giant outdoor posters along the airport road to TV commercials, and TV commercials have been promoted from local TV stations to CCTV, the gold content of advertisements is increasing. All bathroom brands hope to guide and cultivate consumer awareness and acceptance of their sanitary products through targeted advertising campaigns. 2. After-sales service has become a more and more important brand for sanitary ware manufacturers. The after-sales service that the electronics industry has already done is in place. The after-sales service provided by the domestic sanitary ware manufacturers has only just begun. There is still much room for learning from the home appliance industry. At present, the after-sales service of domestic sanitary ware brands depends on the dealers' own control. Therefore, the level of service is uneven. Most bathroom brands only stay at the traditional level of product sales. The service concept is just to help install and maintain the so-called "after-sales service". It does not form a complete and mature service marketing system. This is a more professional family bathroom. Supplies are far from enough. From shopping guides to installation to maintenance, they are not familiar to the general consumer and can be completed by themselves. With more and more intelligent bathroom products, the technical structure becomes more and more complex, and service matching and innovation More important. It can be predicted that the era of service economy has come and services will become a sign that the sanitary ware market will mature. Looking at the sanitary ware market today, whoever has the service and who can provide consumers with more product added value, whoever will become the real king of the market. 3. Absorb cross-industry marketing and management talents, pay attention to the training of manufacturers and distributors. More and more professional managers agree with the development space of the sanitary ware industry, and manufacturers are increasingly convinced that the value brought by cross-industry professional managers is experience. As a result of irresponsibility, there have been strategic arrangements in recent years for some sanitary brands to have experienced industry empiricists working side-by-side with professional managers from other industries. Paying attention to training is also a potential demand for sanitary products. The specialization and humanization of sanitary products make this kind of training a must. In recent years, some large companies have invited training consultants to conduct internal marketing training. On the other hand, the sanitary connotation of sanitary products is also high. Determined to have higher requirements for the dealers, the current bathroom dealer customer groups relative to the wall tile dealer group, the higher the degree of education, more delicate and professional. The dealerâ€™s learning awareness has also greatly improved.